When Jackie Chan strode out onto the stage at a Canon press event in China last month, he was holding an odd looking 4K camera that hadn’t been seen before. It didn’t have a name and there were no specifications. Today that camera gets an official launch. The XC10 is designed as simple way to get professional quality 4K video – a companion model to a Cinema EOS camera. 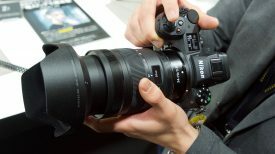 It is relatively compact and despite weighing just over a kilo it still manages to pack a 10x zoom lens and five-axis image stabilisation. 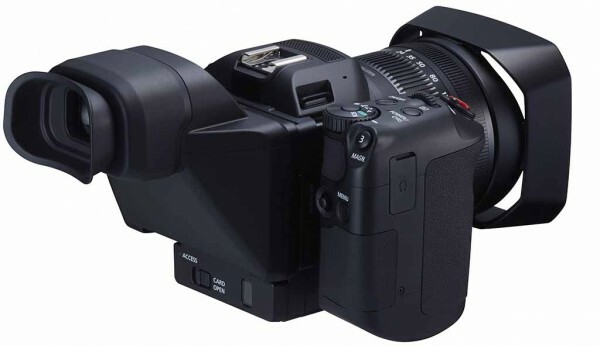 Importantly for professionals this camera has several key similarities to the likes of the C300 mkII. For starters there is a Canon Log gamma option – something never seen before on a camera of this size. It also has Wide DR like the C100 and C300 mkII. The one inch CMOS sensor has a claimed 12 stops of dynamic range and rolling shutter appears well controlled. While the sensor is no-where near as big as the Super35 ones in the C100 and 300, it is still capable of some nice out of focus backgrounds at longer focal lengths. In fact the sensor is slightly bigger than Super16 – which was the chosen documentary standard for many years. The XC10 has a sensitivity range of 500-20,000 ISO in video mode. Noise is obviously going to be worse than something like the C300 mkII, but even so the camera is usable in dimmer lighting conditions. You can also take 12 megapixel stills with it. The camera records 8-bit 4:2:2 4K video in the new Canon XF AVC codec. This is contained in a MXF wrapper and the bitrate reaches 305Mbps. This gives approximately 25 min recording time on a 64GB CFast 2.0 card. Digic DV5 processing makes this possible. The codec is new and Canon hope that it will be widely supported in major editing programs very soon. Lower bit rate Full HD can also be recorded to CFast 2.0 or SD cards. The lens isn’t a constant aperture – it starts at f2.8 at the wide end, but is only f5.6 at full telephoto. Focus is a fly-by-wire affair but the zoom ring is mechanical. The front filter thread is 58mm. There is a single 1/8 stop (3-step) equivalent ND filter that is built into the camera – this is easier to use than screw on filters. Autofocus is contrast detection based and not a Dual Pixel CMOS AF type system. In a brief hands-on session I found it to be quite responsive, but not as snappy as a C100 mkII. The 5-axis image stabiliser is really impressive. The system is borrowed from the XF200 and greatly improves handheld shooting with such a small camera. Power is via Canon’s LPE-6 batteries – the same as the 5D mkII and mkIII. The body design looks a bit like Canon bridge cameras of yesteryear. The handgrip rotates so you can find the most comfortable position. There is a large start/stop button exactly where it should be atop the handgrip (take note Sony). It basically looks and feels like a shrunken down C300. Wi-fi control is built-in to the camera. No extra transmitter or dongle is needed. You simply connect via wi-fi and get full touchscreen control with live preview. It seems far simpler to setup than the wireless options on older Canons. The audio side of the XC10 is a bit limited. The built-in mics will be good enough for some ambient sound, but for anything else you’ll need to add a mic with a mini-jack adapter, or add an external audio box like a Juicedlink. Canon would do well to offer an XLR audio module similar to Sony’s XLR-K2M for the XC10. 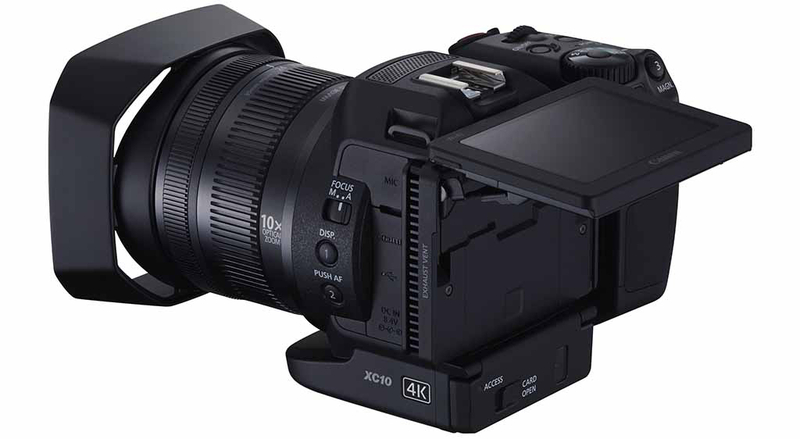 There is no EVF on the XC10, instead you add a clip-on loupe to the rear LCD screen which transforms it into a viewfinder. The image seemed clear but I still prefer the OLED EVFs of newer Sony Prosumer cams. That said, the nice thing about the XC10 loupe and screen is that it can tilt upwards so you can operate the camera looking slightly downwards. Compared to other hybrid cameras like Sony’s RX10 or Panasonic’s FZ-1000 the XC10 has more professional features, but also a price tag to match. 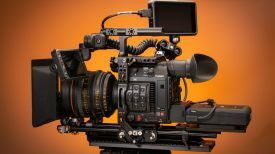 The target audience will probably be existing Cinema EOS users and people who need a small second 4K camera that a producer, reporter or other less experience operator can pick up and still get something usable. For many visual journalists this camera may be all they really need – if they can afford it. It isn’t clear whether this is a ‘World camera’, or one that is restricted to running either NTSC or PAL. Hopefully we’ll find out soon. Price is expected to be around £1599.99 and sales start in June. A kit version with a 128 GB CFast is expected to cost around £1999. B&H has the XC10 listed at $2499 US and a scheduled release date of June. For more info check out the Canon Europe website. 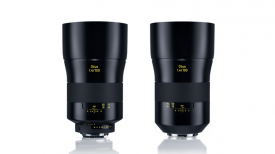 – Direct to ProRes/DNxHR 4K recording (up to 2160p30) and ProRes/DNxHD recording (up to 1080p60). This means users do not have to transcode the XC-10’s internal recordings ready for editing in Apple FCPX, Adobe Premiere or Avid Media Composer. – The 4K recording, apart from being the native codec for NLEs, is also 4:2:2 color accuracy and 10-bit color depth that enables the freedom in post production to integrate 10-bit effects and overlays. – A 7″ monitor almost six times the area of the XC-10’s 3″ display, is the best and only way to truly set up Pro shots with professional features not available on the XC-10 like 3D LUTs, 2:1 & 1:1 zoom for critical focus, vectorscope, false color and the ability to have ongoing color calibration using an optional Spyder unit. – Long record times onto affordable and reliable SSD media as opposed to the more expensive $/GB media option on the XC-10. – The breakout XLR connection gives the Shogun/XC-10 combination both balanced analog XLR audio and 48V phantom power options for condenser microphone solutions. 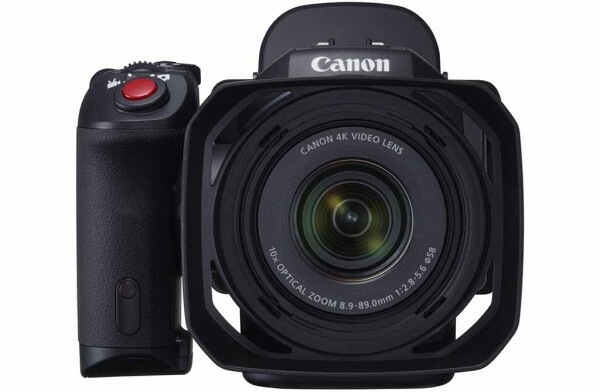 For all of this added functionality, users do not sacrifice usability since the Atomos Shogun and the Canon XC-10 have synchronized start/stop trigger and timecode over HDMI meaning 1 touch recording from the Canon will trigger the record and timecode to start on the Shogun.